Home / enterprise / How to / tutorials / How to convert videos for free? How to convert videos for free? 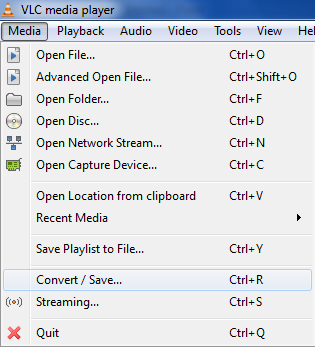 This is the best and easiest way to convert any video/audio to your favorite video format. Rather then buying the expensive video converting software you can go through this absolutely free version.Don't Worry, It wont put any advertisement on your video or label of software in your converted videos. One stop solution for all your question. All you need is to download VLC Media player http://www.videolan.org/vlc/ . Follow the below steps to convert video as per your need. Output the file name. Click on browse and give the destination file name along with the file format you want. Click on Start to convert. Converting video. Now Let the VLC convert your video. It'll take time according the length and size of the video. That's it. You are done now and you can convert your videos to any video format. This is the best and easy task without downloading extra software.